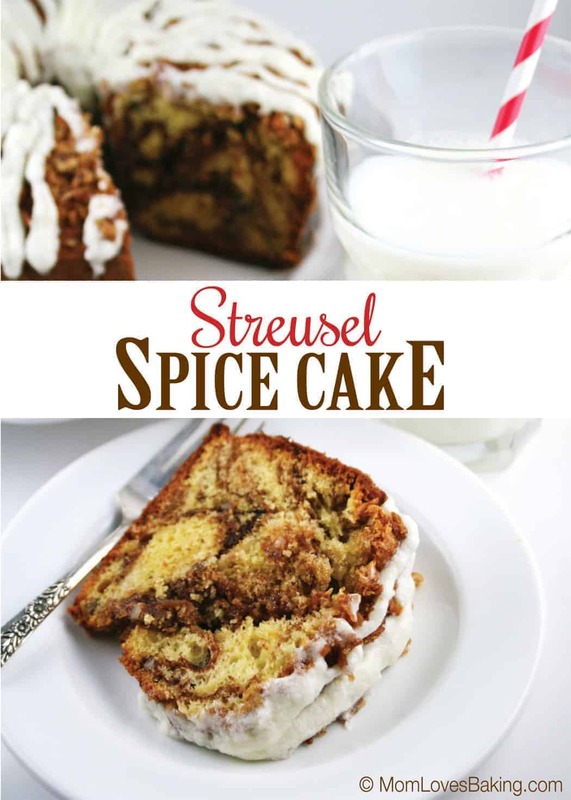 Streusel Spice Cake won the Pillsbury Bake-Off in 1972. Recipe on Pillsbury.com by Rose DeDominicis of Verona, Pennsylvania. 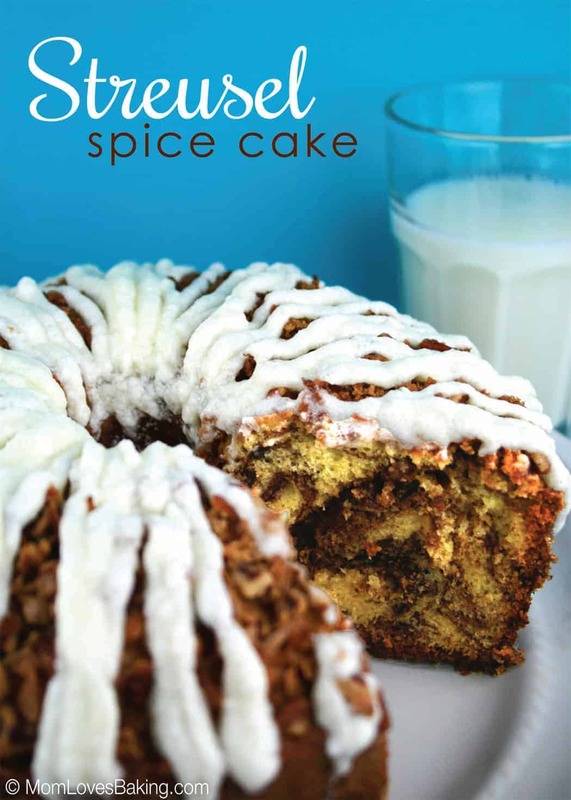 Not your every day spice cake. This one is filled with chocolate, coconut and nuts. 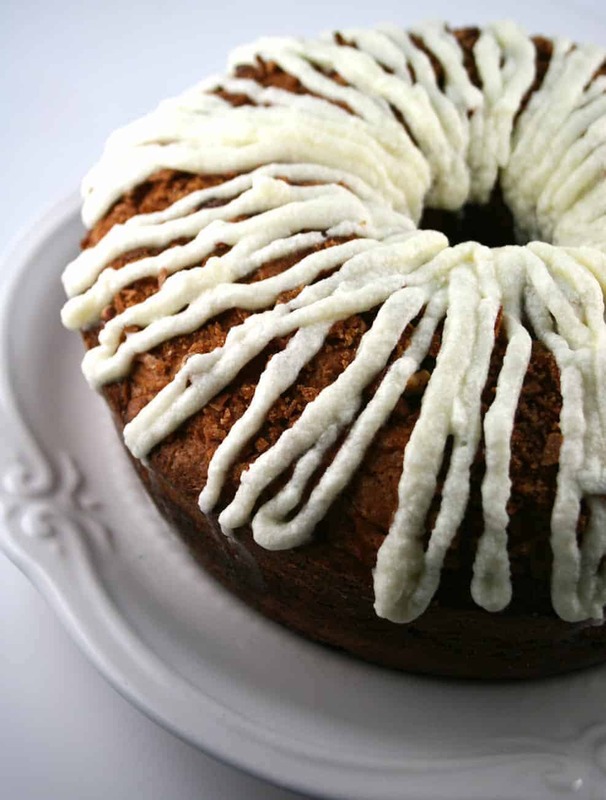 Then it’s topped with streusel and a sugary glaze. 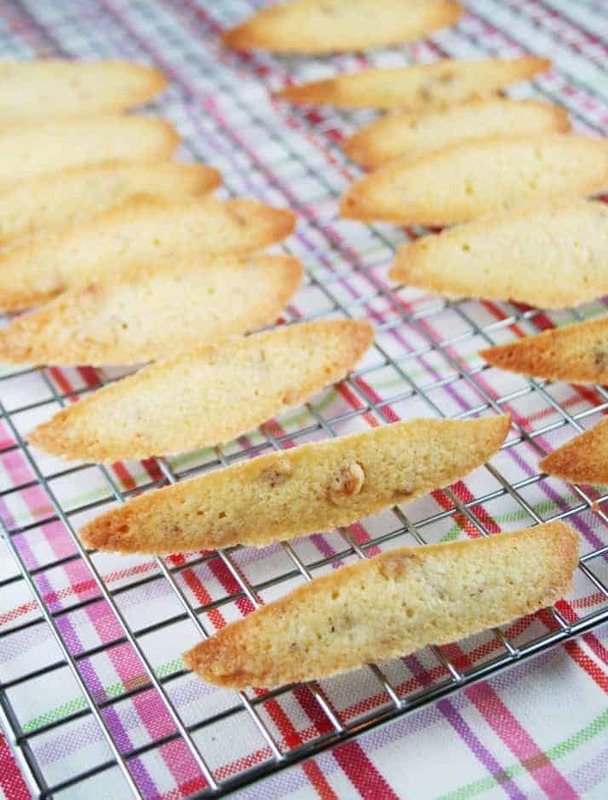 First you prepare a yellow cake mix and stir in 1/4 cup coconut and 1/4 cup nuts. Then marble melted chocolate through the batter. 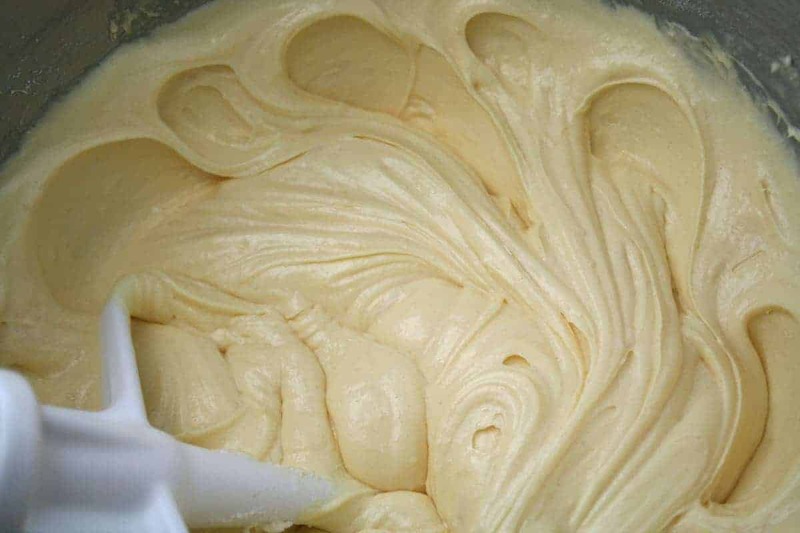 Pour half of the batter in a greased and floured tube pan. In small bowl, combine all filling ingredients; reserve 1/2 cup filling. Sprinkle remaining filling over batter in pan. Cover with remaining batter; sprinkle with 1/2 cup reserved filling. Bake at 350°F. for 55 to 70 minutes or until toothpick inserted near center comes out clean. Cool upright in pan 30 minutes. Remove from pan. Cool 1 hour or until completely cooled. In small bowl, blend all glaze ingredients until smooth, adding enough milk for desired drizzling consistency. 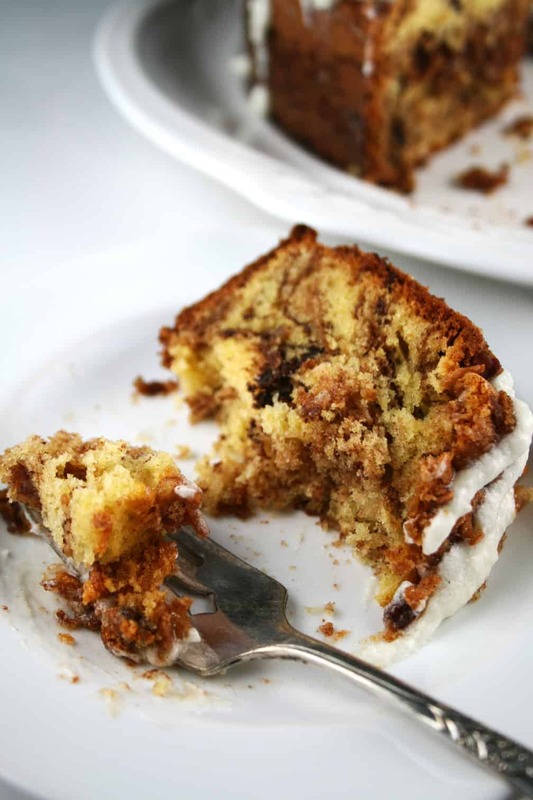 Drizzle over cake. Heat oven to 350°F. 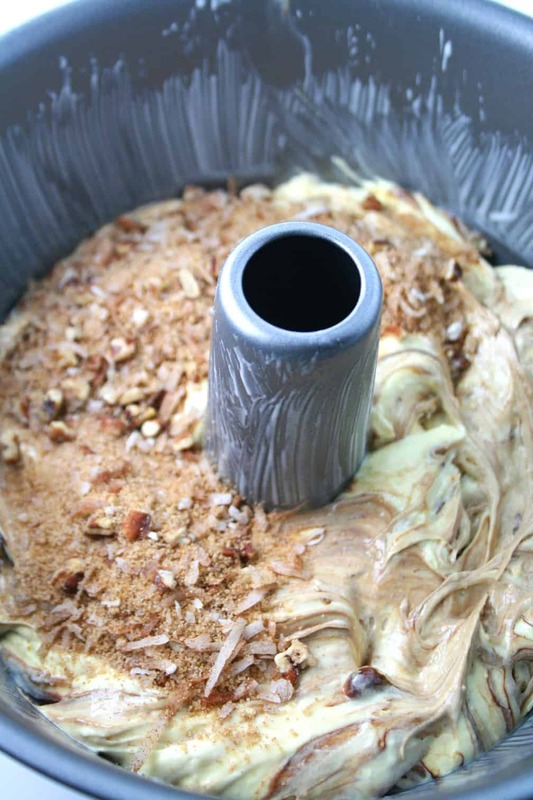 Grease and flour 10-inch tube or 12-cup fluted tube cake pan. 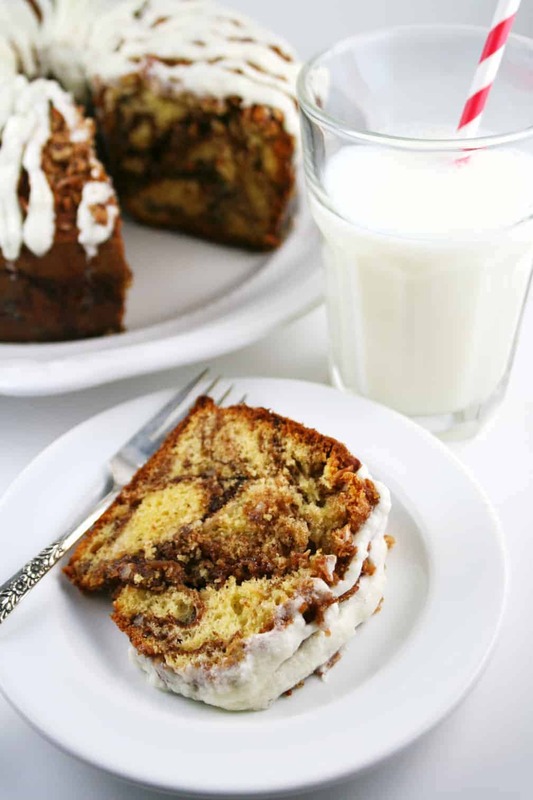 In large bowl, combine cake mix, 3/4 cup milk, 1/2 cup margarine and eggs; beat at low speed until moistened. Beat 2 minutes at high speed. 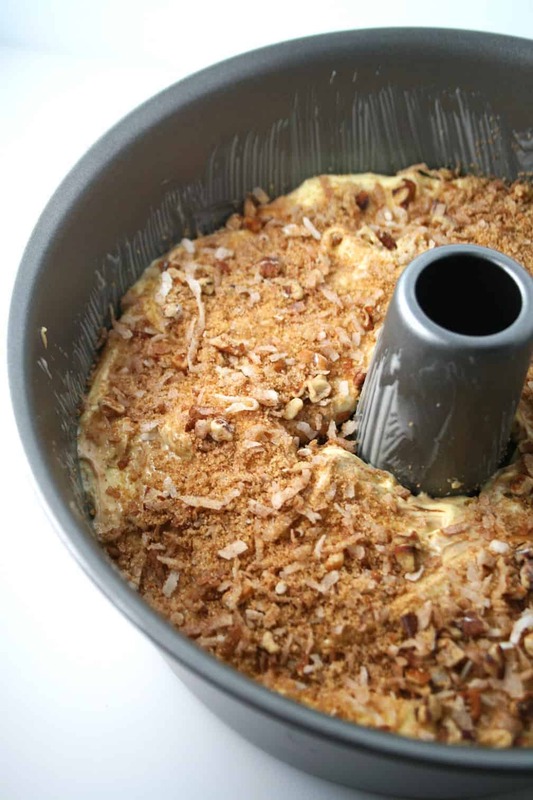 Stir in 1/4 cup coconut and 1/4 cup nuts. With spoon, marble chocolate through batter. Pour half of batter (about 2 cups) into greased and floured pan. In small bowl, combine all filling ingredients; reserve 1/2 cup filling. Sprinkle remaining filling over batter in pan. Cover with remaining batter; sprinkle with 1/2 cup reserved filling. Bake at 350°F. for 55 to 70 minutes or until toothpick inserted near center comes out clean. Cool upright in pan 30 minutes. Remove from pan. Cool 1 hour or until completely cooled. That’s my mother’s recipe. I was with her in Houston when she won. She would be so pleased you made her cake. Thank you!